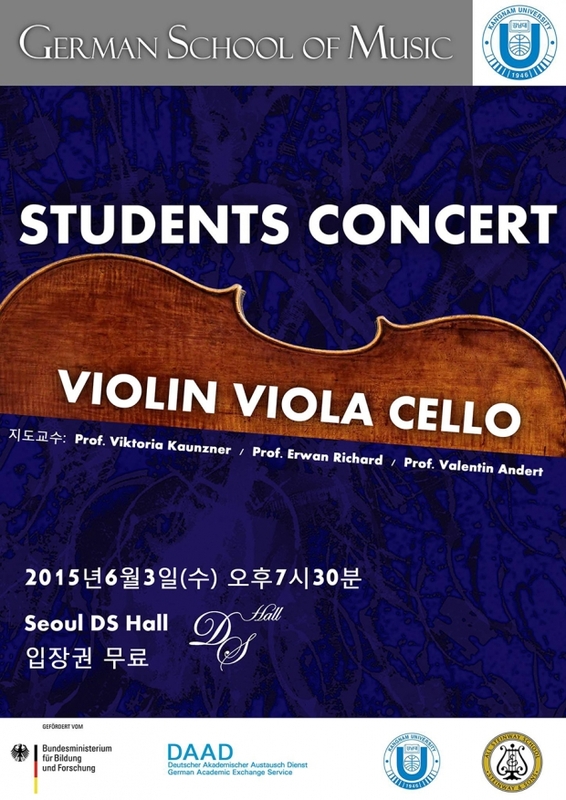 Students of Professors Viktoria Kaunzner (violin), Erwan Richard (viola) and Valentin Andert (cello) will perform pieces by Beethoven, Brahms, Hoffmeister, Medtner, Popper, Prokofjew, Schubert and Stamitz at a student concert Wednesday evening at Seoul DS Hall (formerly Seoul Baroque Chamber Hall). Admission is free. 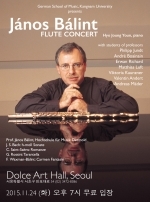 Students, faculty, and friends are invited to attend.